Although popliteal cysts are most frequently identified in patients with osteoarthritis (OA), they may occur in patients with rheumatoid arthritis (RA), in which serious complicated cases such as cyst rupture can be developed. 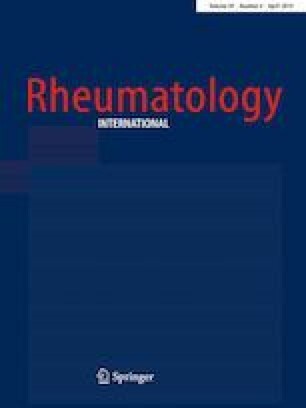 The objective of this study was to report four patients with RA (six knees) in combination with OA with a brief review of literature of previous similar published cases. This is a retrospective review of case records of patients with refractory and/or complicated popliteal cysts, who have successfully treated with arthroscopic intervention. We suggest that arthroscopic interventions such as radical debridement, synovectomy, biomechanical valve excision, and/or cystectomy should be considered in patients with refractory and complicated popliteal cysts associated with RA or RA in combination with OA. JHY performed the surgery. JHY and HSL devised the project and the main conceptual ideas. HHK, JKL, and SYB aided in the interpreting the results and worked on the manuscript. JHY and HHK wrote the paper with input from all authors. JHY and HSL critically revised the manuscript at all stages of its production, final approval of manuscript, and review of literature. All authors discussed the outline and commented on the manuscript. Authors; Jae-Hyuk Yang, Hyuk-Hee Kwon, Jin Kyu Lee, So Young Bang, and Hye-Soon Lee declare that they have no conflict of interest.